It may no longer be the Holy Roman Empire, but regal Rome remains an epic cosmopolitan capital with piazzas (squares) and boulevards that proudly reflect the past. Architectural heirlooms, amazing artifacts, alluring shopping and phenomenal food grace this Eternal City. Start at the Colosseum, the city’s most frequented archaeological site. Step through its archways and into the arena that mighty Titus inaugurated in 80 A.D. for watching gladiator games and spectacles. Follow on to the near-by ruins of the Roman Forum and Palatine Hill, the commercial, political and religious centers of ancient Rome. Go to the world’s smallest state, Vatican City the papal headquarters of Catholicism and home to the Pope. When there see picturesque Piazza San Pietro (St Peter’s Square), the treasures of the Vatican Museum and the glorious ceiling artwork of Michelangelo in the Sistine Chapel. One of the most well preserved buildings both inside and out is the Pantheon, built in 27 BC by Marcus Agrippa, the son-in-law of Augustus, as a temple to honor the planetary Gods. It is the burial place for certain emperors and the artist Raphael. Centrally located the famous Piazza Di Spagna (Spanish Steps) is also worth stopping by whether to walk the steps or take in the sights of the colorful flowers, the smaller churches, the Keats-Shelley House or the surroundings’ 18th century buildings. In Italy, savoring breakfast, lunch and dinner matters as well as taking time for a sip of caffe, an aperitivo or a glass of vino (see below). And the restaurants, pasta and pizza trattorias, gelato (ice cream) stands and cafés all deliciously oblige. Piazza Campo de Fiori is a charming square with diverse eateries and a colorful open-air market, Monday to Saturday that flaunts fresh produce, cheeses, cured meats and fun trinkets. Shop Via Veneto where La Dolce Vita was filmed or elegant Via Condotti for famous designer brands. While there, pause for a drink at the historic Caffe Greco, the oldest bar and coffee house in Rome. Be like Audrey Hepburn and Gregory Peck, in the 1953 classic Roman Holiday— throw a coin for a wish in the ornate Trevi Fountain and create your own memorable Roman holiday! SAIL: Rome. Before sailing away, bring the region’s flavors and flair home. Roasted coffee beans, whether to drink or dipped in chocolate to eat as candy, are a highlight as is Vin Santo (sweet wine), Grappa (liqueur from the skin of grapes), olive oil, fun shaped pastas, vacuum packed Pecorino Cheese and cured Prosciutto. Shop Via Condotti, Rome’s 5th Avenue, home to such Italian fashion houses as Gucci, Armani & Valentino. SIP: Frascati, Campari or Coffee. When in Rome, drink like the Romans! The grape growing region of Lazio just outside of the city produces this light refreshing vino bianco (white wine) with subtle fruity overtones that stands on its own or goes well with a meal. Bright red Campari is a typical aperitivo that has a bitter bite and is served on the rocks or mixed with a splash of soda or orange juice. Coffee lovers will love the roasted strength of the Italian bean but should take note of how and when to sip caffe. 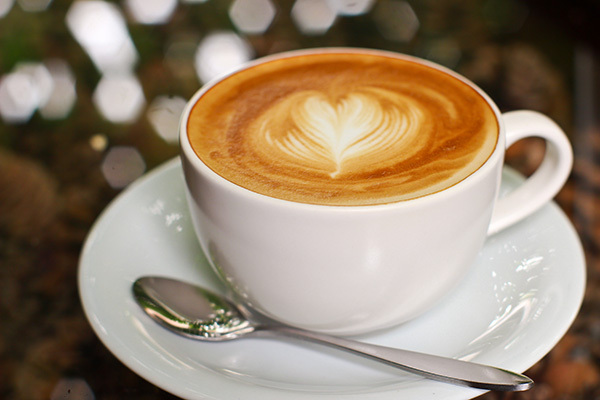 Enjoy a cappuccino or café latte (coffee with foamed or steamed milk) only in the morning and an espresso or macchiato (strong coffee with a dash of milk) later in the day or evening. 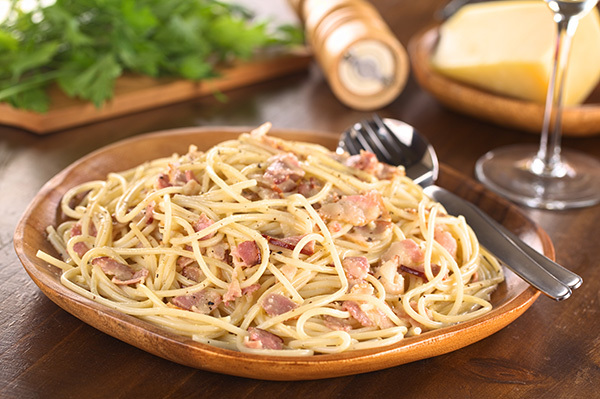 SAVOR: Pasta alla Carbonara. Whatever your pasta choice, from spaghetti to fettuccine to penne, this is the sauce to have. The decadent combination of cream, eggs, pancetta and pecorino cheese was first served to charcoal workers where it could be made over a carbonaro (charcoal burner) and remains a classic choice. For a vegetarian dish, artichokes are revered in the Roman kitchen and Carciofi alla Romana is an enticing blend of baby artichokes braised and slow cooked with olive oil, fresh garlic, mint and parsley. For dessert, indulge in a superb scoop of creamy gelato that guarantees a delectable crowning touch to your taste buds and time at the table!